An anti-parasitic to kill the mites that cause the mange. Banixx Pet Care for the the open sores and rashes created by your dog’s endless scratching or the itchy skin caused by mange. Banixx is a soothing, gentle first aid solution in the recovery of even the most severe cases. Mites are easily diagnosed by a quick trip to your Veterinarian; they come in different varieties with different treatment options. The veterinary treatment is relatively straightforward and painless. Generally, results will be seen in a matter of weeks or less. Note: Banixx alone will not solve the mange problem (Banixx is not an anti-parasite). Banixx used in conjunction with the medication prescribed by your Veterinarian will make this a trouble-free, easy experience. Sometimes however, seasonal allergies may cause your pet to lose areas of hair and this can be mistaken for mange; a trip to your veterinarian will diagnose this in short order. All dogs raised normally by their mothers possess demodectic mange mites, which are transferred from mother to pup via cuddling during the first few days of life. Most dogs live in harmony with their mites, never suffering any consequences. 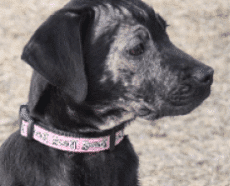 There are three types of demodectic mange that affect canines. Localized cases occur when these mites multiply rapidly in confined areas. This infection results in isolated scaly bald patches usually on the dog’s face creating a polka-dot appearance, approximately 90% of these cases resolve with no treatment of any kind. 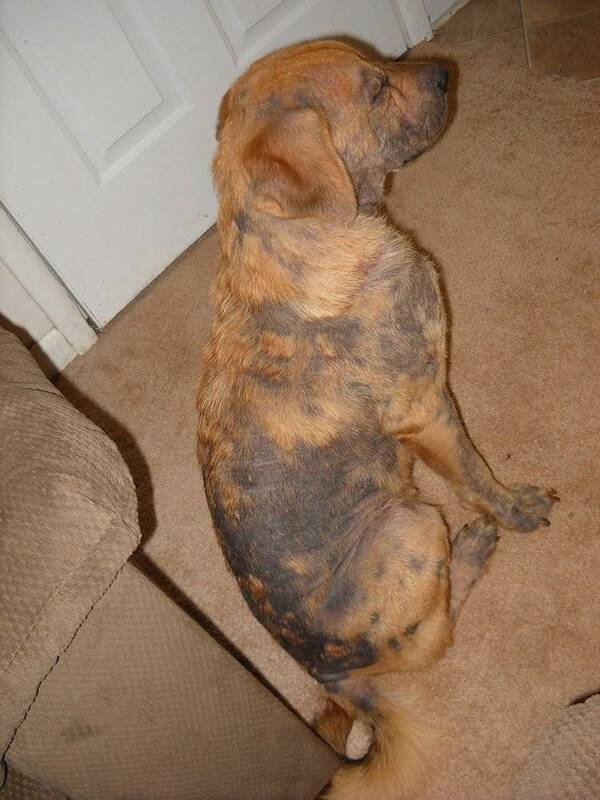 Generalized demodectic mange, in contrast, affects larger areas of skin or a dog’s entire body. This type of mange can result in sores, rashes and infections due to your dog’s frenzied, endless scratching. It’s a very itchy condition for your dog and often smelly (due to the infection). Consultation with your Veterinarian is recommended. One of the most resistant forms of dog mange, demodectic pododermatitis, is confined to the foot and accompanied by bacterial infections. Deep biopsies are often required to locate these mites and make a proper diagnosis. General Symptoms of Mange in Dogs? The symptoms of mange on dogs depend on which type of mite is present. Demodectic mange tends to cause hair loss, bald spots, scabbing and open sores. It can also lead to ear infections. The ensuing bacterial infections can make demodectic mange an itchy and uncomfortable skin infection for your dog. Although puppies generally have little or no adverse reactions to this type of mite, dogs with inadequate immune systems, regardless of age, may become quite ill with this type of mange. 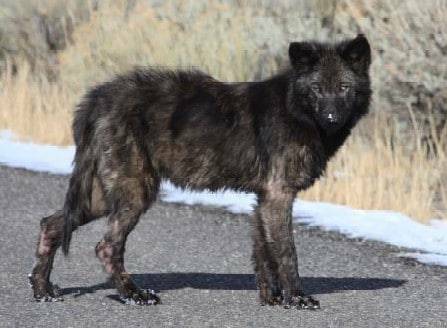 The good news is that this type of mange it is not contagious to other animals or humans. Sarcoptic mange, however, is highly contagious to other animals and even humans. Generally. within a week after exposure, this type of mite causes intense itching and frenzied scratching that results in complete restlessness. It also can result in hair loss, reddened skin, open body sores, and scabs. The most commonly affected areas are a dog’s ears, elbows, face, and legs, but it can rapidly spread to the entire body. What Should I Do If I Think My Dog Has Mange? Take your dog to a veterinarian. He/she will perform a physical exam, analyze skin scrapings, and confirm by microscopic examination whether or not mange mites are present and prescribe the relevant anti-parasitic medication. Depending on the type of mange and the breed/age of your dog, the prescribed medication for mange treatment may be given orally or applied topically. Rest assured, Banixx may be used in partnership with the prescribed medication to ease itching, inflammation, and open, unpleasant skin sores and infections. There is no conflict between the prescribed medication and Banixx; moreover, your pup will be happy that Banixx has no added odor or burn/sting. Results are usually seen after a few weeks or less. The ugly truth is that the most common cause of the mange on your dog is his exposure to another infected animal. Dogs are often thought of as family members, but to fit in our busy schedules, we often rely on outside services to meet their needs. Doggie day cares and spas, dog parks, dog pet “resorts,” dog walkers, dog sitters, groomers, and mega pet stores are just a few examples of where dogs may be exposed mange mites. Although it is difficult to isolate your dog from exposure, there are a few things you can do to help him..
Keep your dog on a regular, healthy, feeding schedule, with lots of water and exercise to boost a healthy and strong immune system. Give your dog regular baths, carefully examining their skin for any signs of irritations, redness, rashes, or sores. And don’t forget their collars and bedding. A good hygiene regiment goes a long way in combating a whole “host” of problems with your pets. If your dog has been diagnosed with sarcoptic mange, you’ll need to thoroughly clean or replace his bedding and collar and treat all animals in contact. If you suspect a neighbor’s dog may be infected, keep your pets away to keep the disease at bay. Bring your dog to the vet periodically as recommended for recheck skin scrapes to ensure the mites have been eradicated.